Mobile devices make our lives easier in many ways: improved communication capability, unlimited knowledge at our fingertips, access to an endless cache of cat photos, etc. While many areas of life are made easier through technology, this convenience also comes with added risk. They say, “with great power comes great responsibility,” and as the popularity of mobile devices mounts, individuals need to practice more technological responsibility than ever. A PEW Research study found that 77 percent of Americans own smartphones. 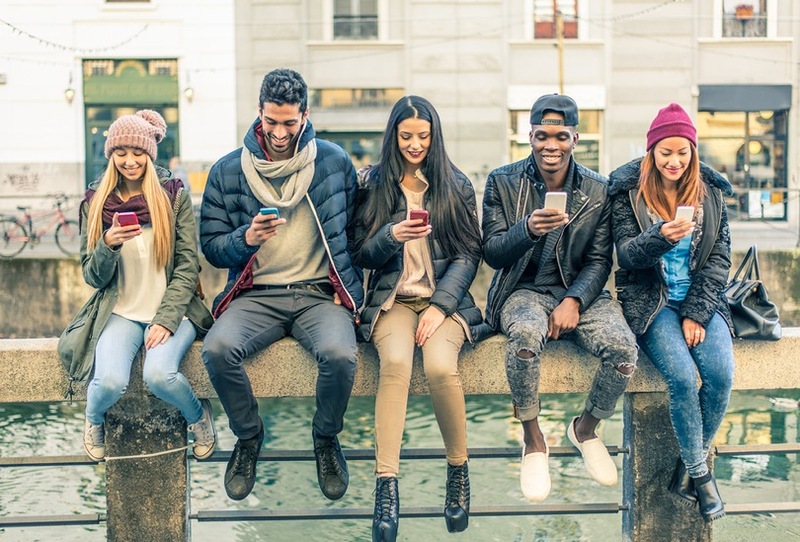 Regardless of age, race, gender or any other demographic indicators, smartphone ownership is growing and with that so are the day-to-day applications they bring to people’s lives. Handling personal finance from a phone or tablet would have sounded like something out of a sci-fi movie a decade ago, but the future is now. Nearly half of smartphone owners use mobile banking — and that number is quickly growing. While most people are eager to jump at the added convenience of mobile banking, what with the ability to manage finances at your fingertips, there are some important considerations to keep in mind to prevent fraud and identity theft. After all, security should be a top concern when it comes to your bank account. Overall, mobile banking is considered safe thanks to professional-grade encryption, user-end authentication measures and decentralized storage of sensitive information. Still, as a consumer, there are several measures you can take to keep your money and identity safe when banking from your smartphone, laptop or tablet. 7 What are the effects of identity theft? Applications are screened before they are hosted on the Apple or Android app stores, but scammers can still slip through the cracks. Make sure to only download applications from reputable sites that have a lot of positive user feedback. Suspicious or unfamiliar texts and emails should be handled with care too. Any files that are delivered unsolicited should be treated as potential malware. Approach all suspicious online interactions with a discerning attitude. Never respond to an email or text with your PIN, account number or other sensitive information — banks will never ask for that information in that manner. This one is a no-brainer, and honestly applies to overall account security, but it is especially important to monitor your accounts when banking on a mobile device. Check your balance regularly and review items to find any inconsistencies. If you see any suspicious activity, report it to your bank immediately. Plus, that same device you use for mobile banking can help you monitor your account with ease. Think about setting up transaction emails or text notifications. That will ensure you are the first to know in the event that your account is compromised. As the mobile user, you are the first line of defense against fraud, which means you need to account for threats that might loom outside of your smartphone. When you log in to mobile banking, be aware of the people around you. You would be surprised how easy it is to compromise your identity out in the real world. All it takes is one thief watching you type in a password for your bank account information to be compromised. This goes for phone calls too. Be careful not to give out your account number or PIN over the phone while other people are around. Important account information should be recorded and stored in a safe place — your phone is not a safe place. Do not store important banking information on your phone. This means any texts, notes, emails or other documents that contain private information should be deleted. In the event your phone is lost or stolen, a stranger can potentially access important information if it is stored locally. You should protect sensitive information behind as many fail-safe layers as possible. Individual banking applications will come with security authentication protocols such as password protection, PIN, fingerprint access, etc. Still, it doesn’t hurt to institute security measures at the outset. Practice regular password best practices — avoid using birthdays, family names, social security numbers, etc. Always lock your phone after use in case it is lost or stolen and disable auto-login features for banking applications. Anytime you connect to your mobile banking application, be sure you are connected to a secure Wi-Fi network. Try to avoid public Wi-Fi to minimize potential exposure of sensitive information. According to a Norton Security report, nearly a quarter of mobile device users check their banking information using a public network, which puts private information at risk. The most common way information is compromised on a public network is through a man-in-the-middle (MITM) attack. A MITM attack is when a hacker uses special tools to scan a router for security holes like weak passwords or lack of security features. The MITM hacker is then able to intercept any information that passes from an individual’s mobile device to a public network — including banking and credit card information. Anytime you connect to a public network keep in mind that someone could be waiting in the middle trying to intercept private information. With this in mind, limit use of public networks and reserve important banking tasks for home. It is so easy to hit the “remind me later” button whenever an update pops up on your screen. We’ve all done it before: we delay updates until a shiny new feature entices us enough to part with our mobile devices long enough for it to update. This might seem like harmless procrastination but in reality, ignoring updates can have a major effect on the security of your device. Most mobile device updates don’t present a noticeable difference in user experience, but that doesn’t mean they aren’t important. In many cases, updates come with crucial security patches to vulnerabilities that hackers already know about. Security updates help you stay protected from threats you never knew existed. Next time a notification pops up to update your phone, think about doing it on the spot instead of putting it off. What are the effects of identity theft? At the end of the day, all of these security measures are meant to protect against identity theft. According to an Equifax report, someone’s identity is stolen every two seconds, and identity theft is the number one complaint filed with the Federal Trade Commission every year. What does all of this amount to? The financial effects of identity theft can be long-lasting, and cause millions of Americans unnecessary stress and hardship every year. A chief result of identity theft is usually credit hardship, and when unchecked, a stolen identity can lead to an abysmal credit score that will follow you the rest of your life. Luckily, if worse comes to worst and you need help digging yourself out of a credit nightmare, credit repair services can help you regain control of your credit by identifying and removing suspicious items from your report. The prevalence of smartphones these days might lead us to believe our information is secure, but carelessness is a leading case of identity theft. With this in mind, you will want to do everything in your power to fend off fraud, and security begins with practicing responsible mobile device care.